Artichokes. 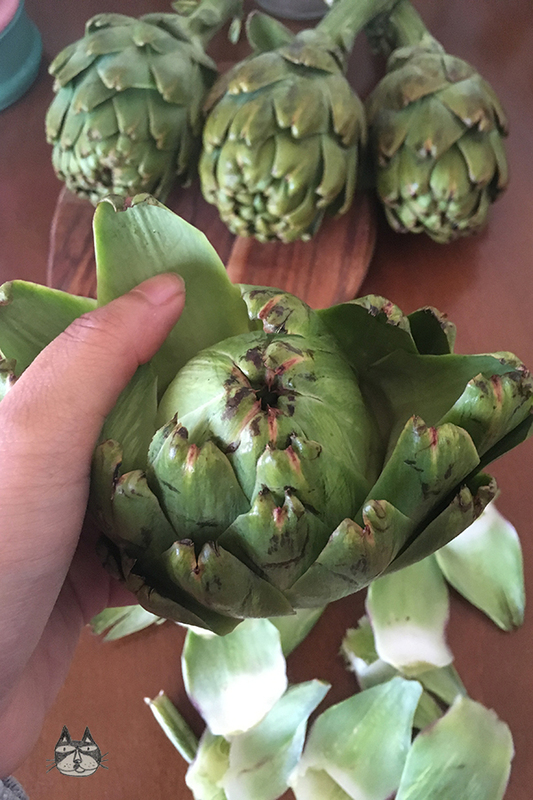 I recently saw some artichoke flowers at the supermarket, and I have always been interested in having them fresh. I usually get artichoke hearts ready prepared and marinated in a jar, or cleaned and frozen, read-to-cook versions (just add lemon, etc.). So, impulse buying artichoke flowers, I set out to learn and attempt to clean the flowers all by myself. And goodness gracious me, it’s HARD. After watching several youtube videos (Greek ones too), and steeling myself for hours of manual labour, I set out to the kitchen and unpacked the flowers from my shopping bag. Never knew that something that starts out so big and pretty will only end up into something small and… it does feel like a lot of waste to me. It was an interesting experience, and even Katiki was intrigued by the artichoke flowers! Buy artichokes. 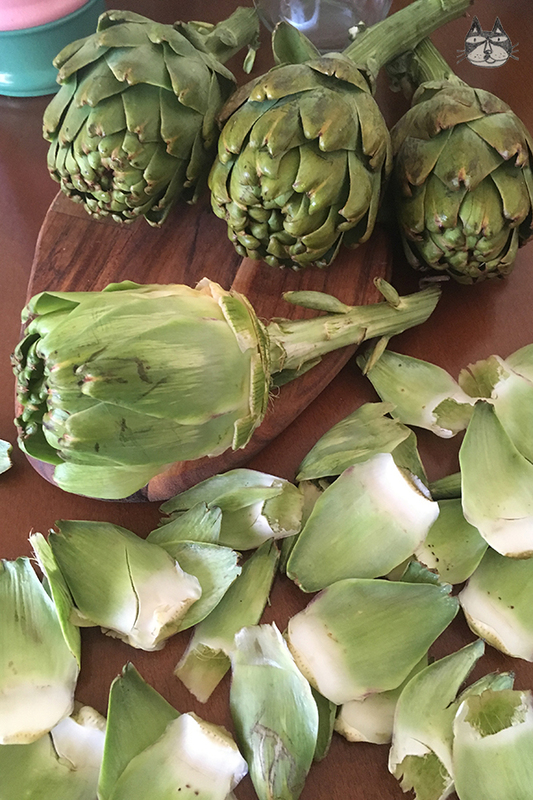 Spring is the best time, young artichokes are particularly sweet-flavoured. 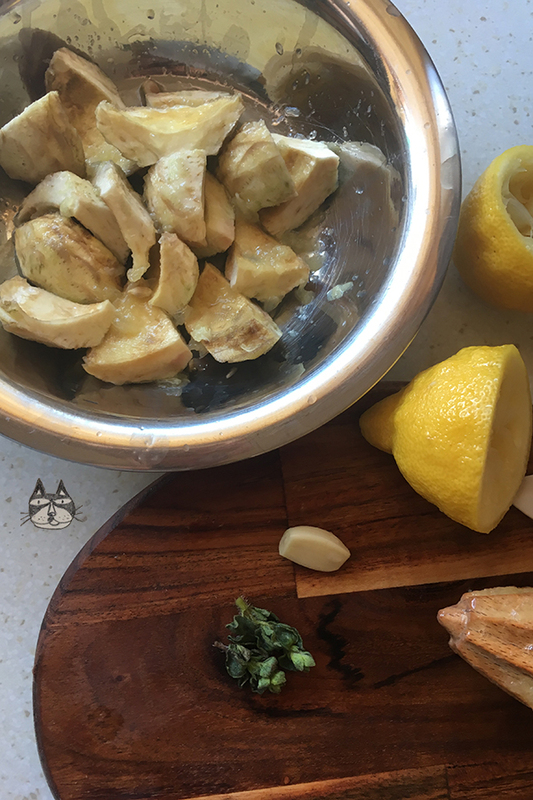 Prepare the lemon-cold water bowl. Start removing the outer leaves. 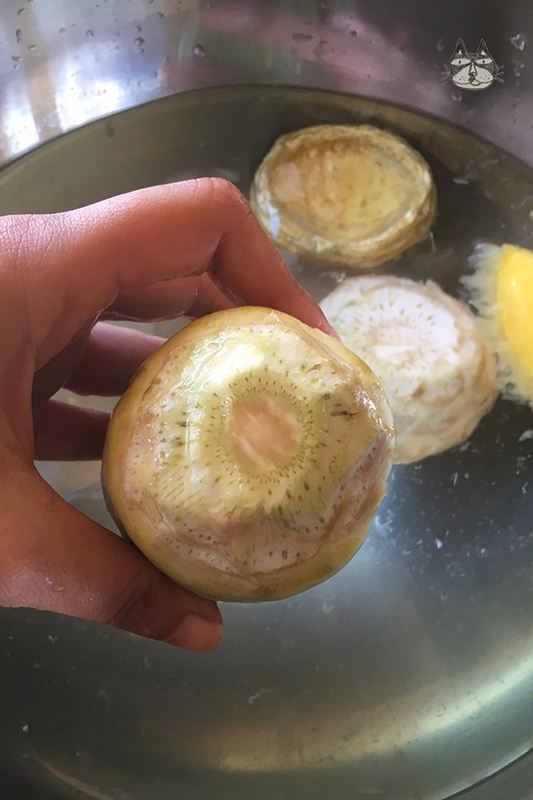 Start cleaning the bottom part of the artichoke – what you will have is something that looks like this. And then clean it until it looks like this. 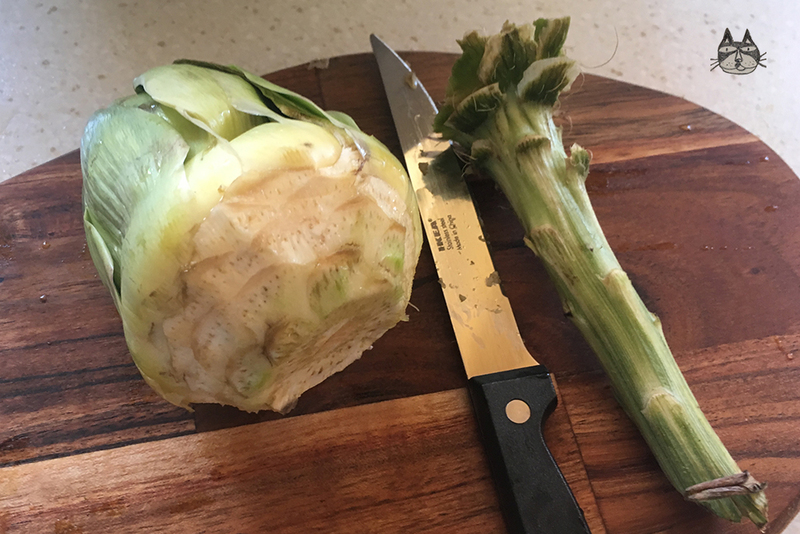 After, cut off the top of the artichoke and you will see the ‘fluffy’ part inside. 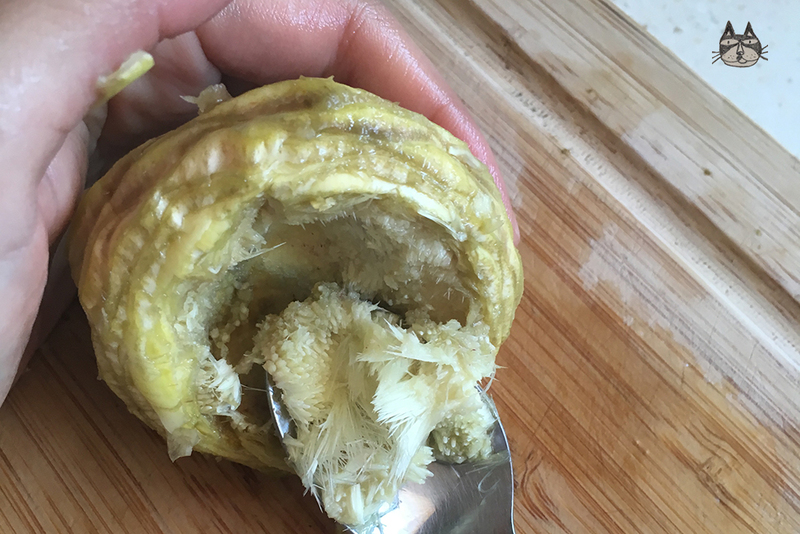 Continue to remove as much leaves as possible until you get to the ‘white’ part (the heart) of the artichoke. With a spoon, scoop out the weird fluffy looking part. 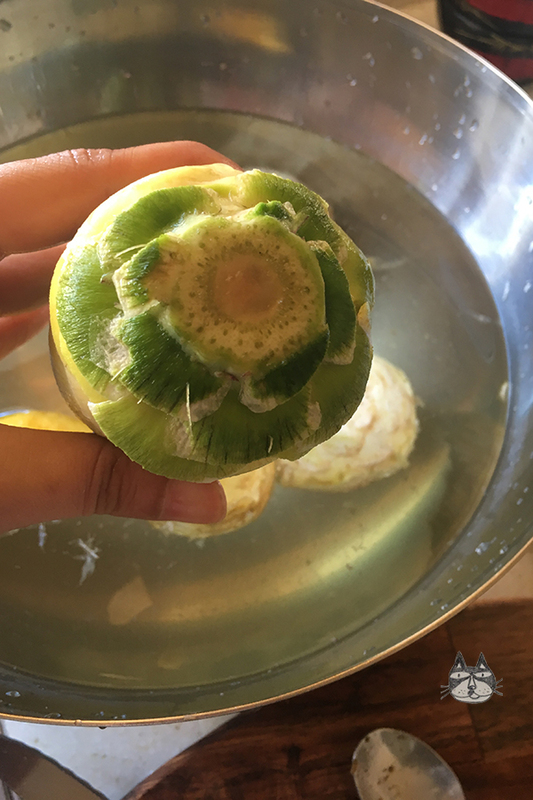 Place the cleaned piece into the lemon water bowl. Continue to clean ALL the other flowers. Remember, you are now a domestic goddess who can clean artichokes. 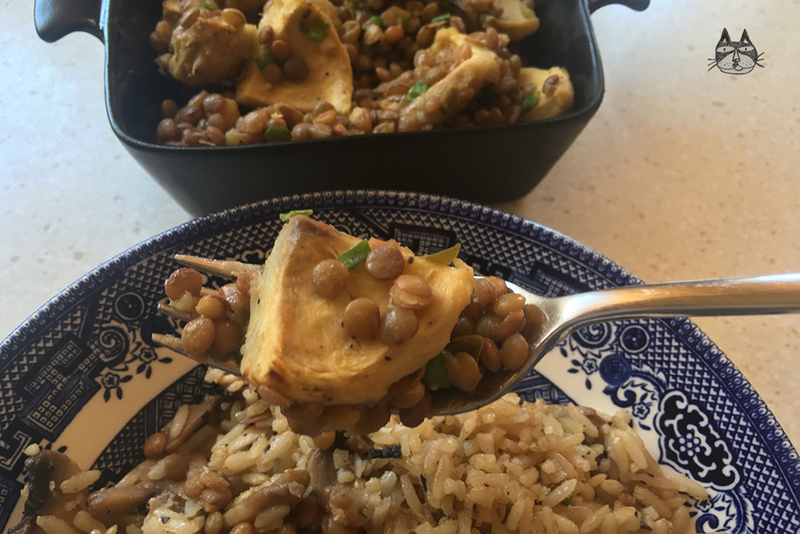 Once you have cleaned all the artichoke flowers, you can cook the hearts as you want. 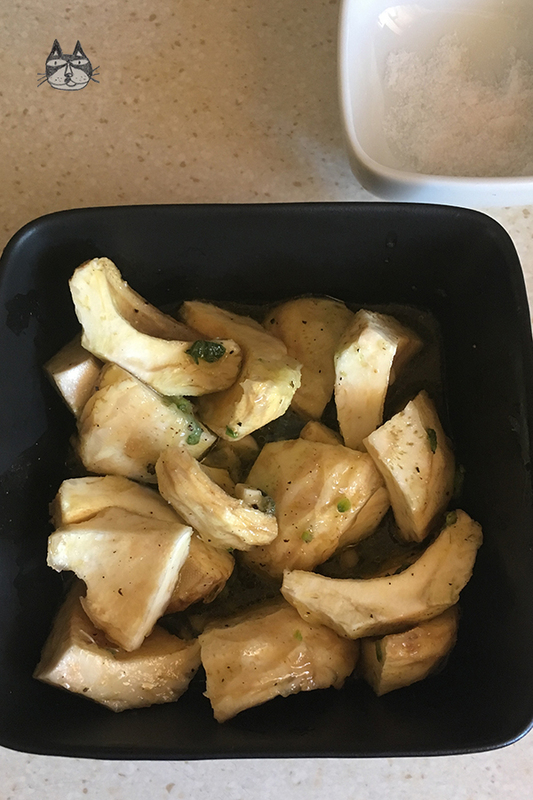 I marinated my artichoke heart pieces (I cut them into quarters) with some fresh oregano, chopped garlic, olive oil and lemon juice. 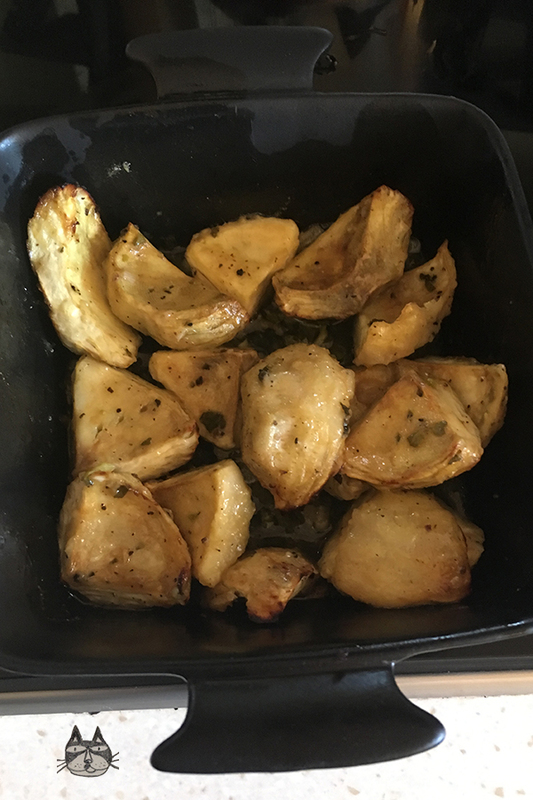 Placed them in a baking tray and seasoned it lightly with some salt and pepper. Baked them in a preheated oven at 200 degrees until soft and it has taken some colour. 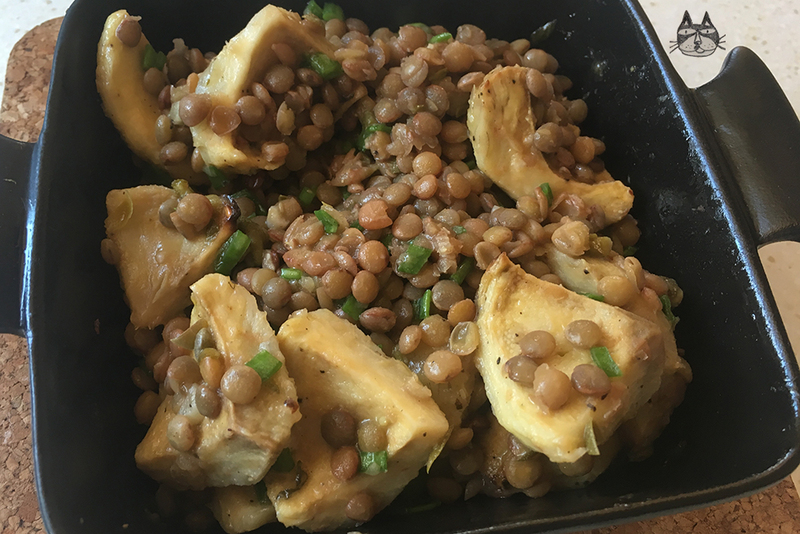 I mixed the cooked artichoke hearts with some cooked lentils and some chopped spring onions (and a bit of capers) as a healthy and satisfying salad. 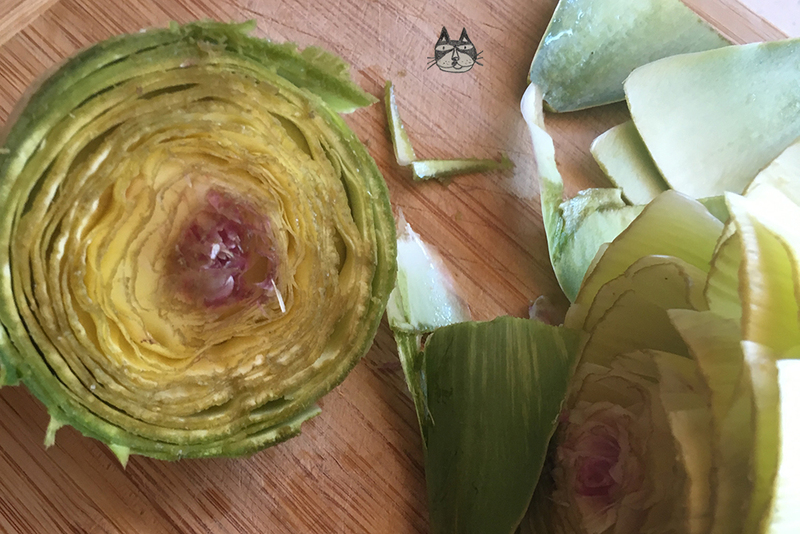 How do you like to eat artichoke hearts? Any recommendations?